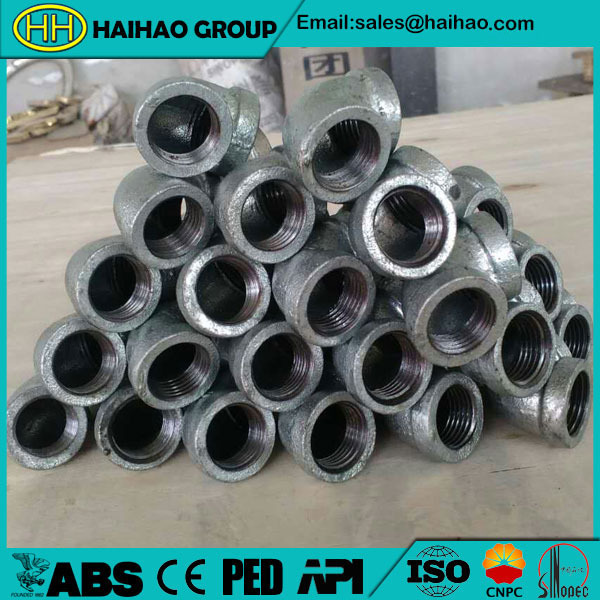 Elbow is one kind of pipe fittings which can change the liquid or gas flowing direction in a piping system.It is mainly used to connect two pipes,sometimes called a “quarter bend”.We mainly produce forged threaded 90DEG elbow according to GB,HG,ASME,ANSI,API,EN,BS,DIN,JIS,KS,GOST,AS. Commonly, according to the distance of direction changing, the elbows are divided into the following three kinds:Elbow in any degree,180 Degree elbow,45 Degree elbow,90 Degree elbow. Stainless steel,carbon steel,alloy steel,malleable cast iron. Hebei Haihao group as a professional forged threaded 90DEG elbow manufacturers.We have more than 30 years of experience.Products are manufactured by forging, cold pressing, cold forming, hot extrusion, heat treatment, polishing, rubbing, machining and chrome finishing.Welcome to contact us when you have any need about forged threaded 90DEG elbow and other products.